My husband plants a great big garden every year. He grows all of our vegetables; we haven’t bought any except for some celery in three years! It’s wonderful. We know exactly what went into the soil and where the vegetables came from. I process them by either freezing them or canning them so we eat the bounty all year long. Nothing tastes better than home grown corn in the middle of February. It still has that just picked flavor. Thanks to the wonderful folks at EasyDigging.com the hubby has a Pointed Hoe and a Grape Hoe. Like most hoes each one has a special skill. Ah-hem. The pointed hoe (or ridging hoe or triangular hoe) is special type of grub hoe. 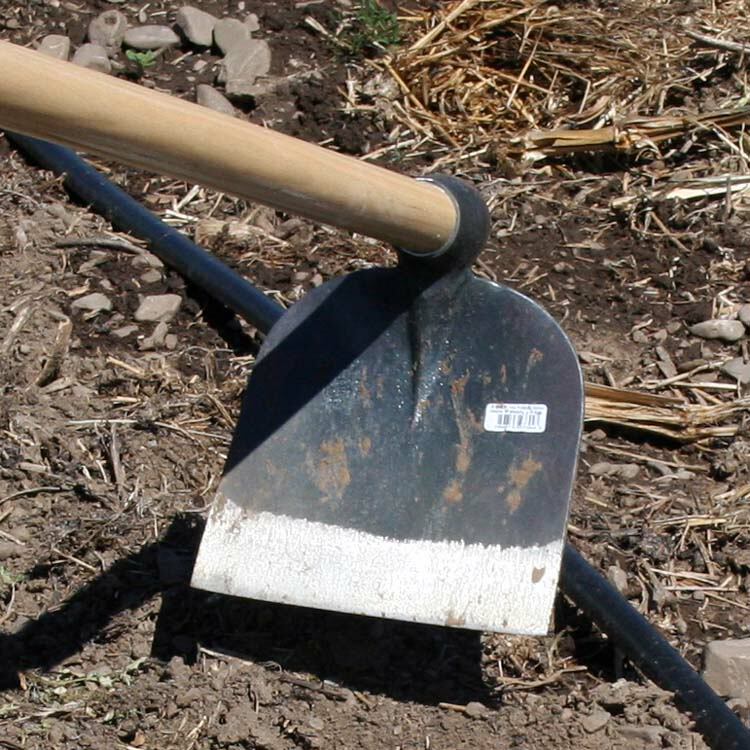 It is used for both digging and planting by millions of small farmers in Africa. 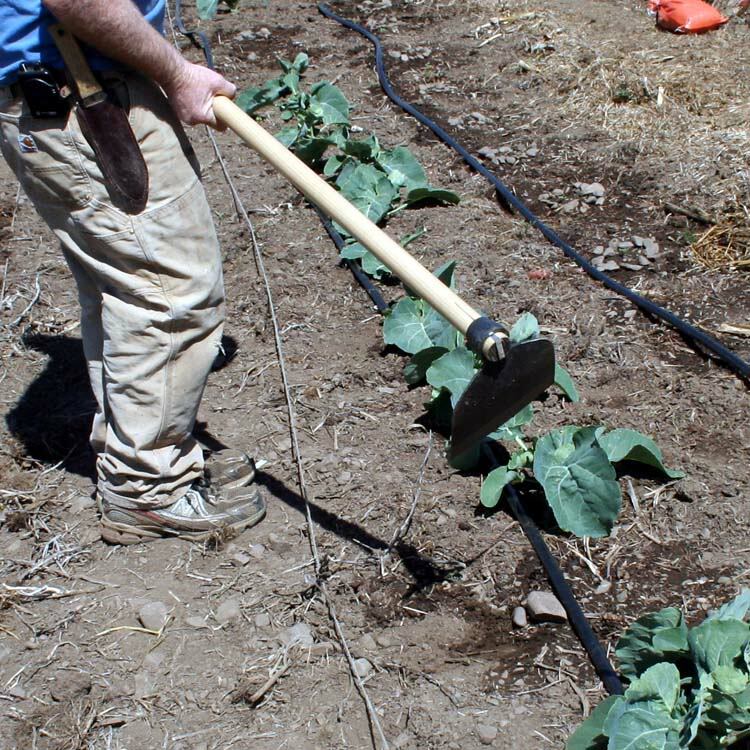 This 2 lb forged steel tool by Bellotto has a 8″ triangular shape that is both effective at digging in soil containing gravel or stones, and great for making planting furrows or ridging (earthing up) potatoes and other root crops. The hubby likes it for taking up the icky crabgrass that seems to love. He says using this hoe makes removing it very easy. The point digs right in and pulls out the roots. 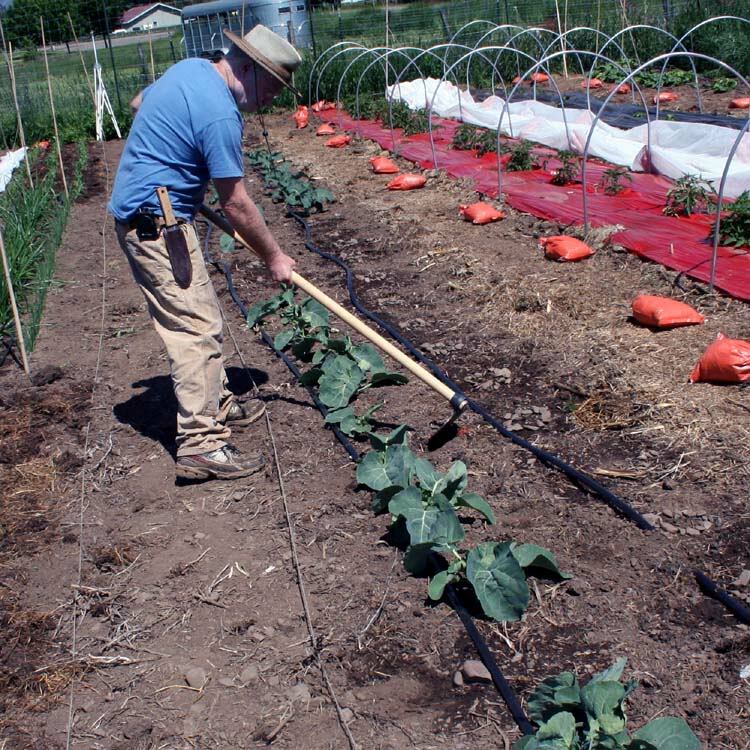 The 8″ grape hoe is specially designed for weeding and cultivating of existing gardens. It is not designed for digging – that is the job of a grub hoe.This very sharp tool from Bellotto is 2.1 lbs of forged and tempered steel for long-lasting durability. This hoe is handy for weeding. There are ALWAYS weeds. The hubby likes the hoe because he says it’s much easier than having to pick them out with his hands. It makes a rather unpleasant but necessary job better. He said the quality of the hoes is excellent. 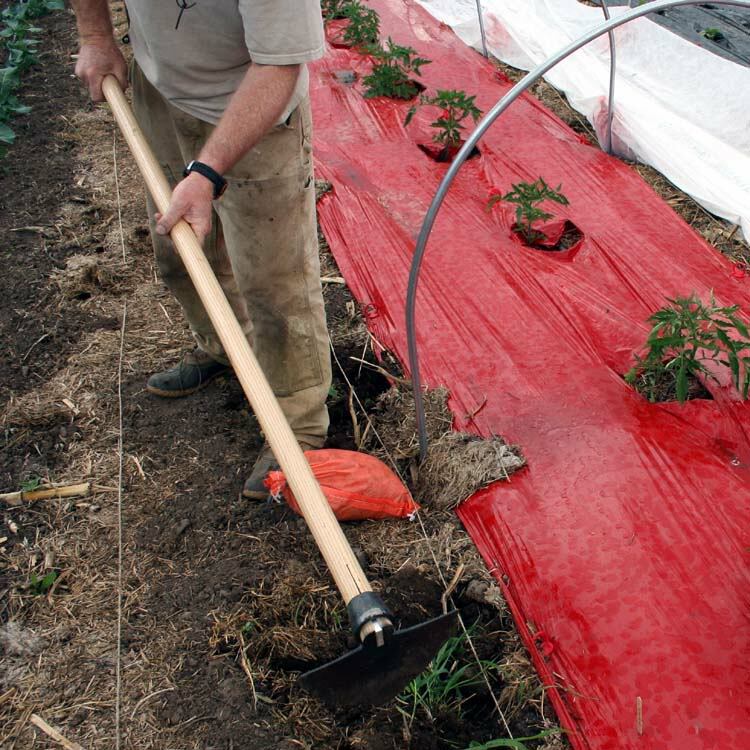 The weight of the steel blades is heavy enough that the hoe does the work, not him. He is very happy with his two new hoes. The hoes arrived quite quickly after we were told they were being shipped and they were very well packed. Thanks to the great folks at EasyDigging.com one lucky reader is going to get to choose a hoe of their own! That’s right. The winner can choose any of the long handled tools on the site – NOT THE WHEEL HOE. Just jump on the Rafflecopter! 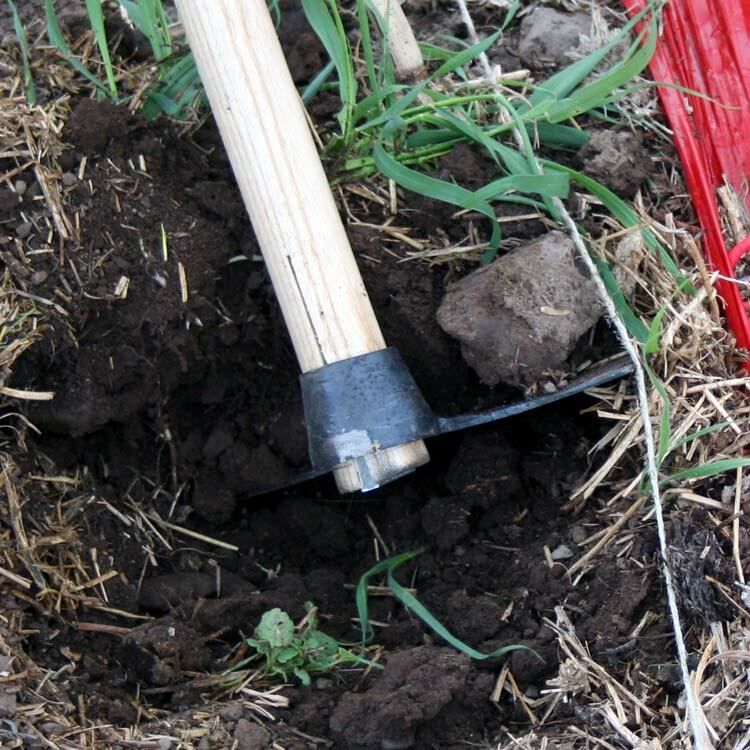 Disclosure: I received garden tools gratis from EasyDigging.com. Any opinions expressed are my honest opinions and were not impacted by my receipt of the free products. I received no monetary compensation for this post.